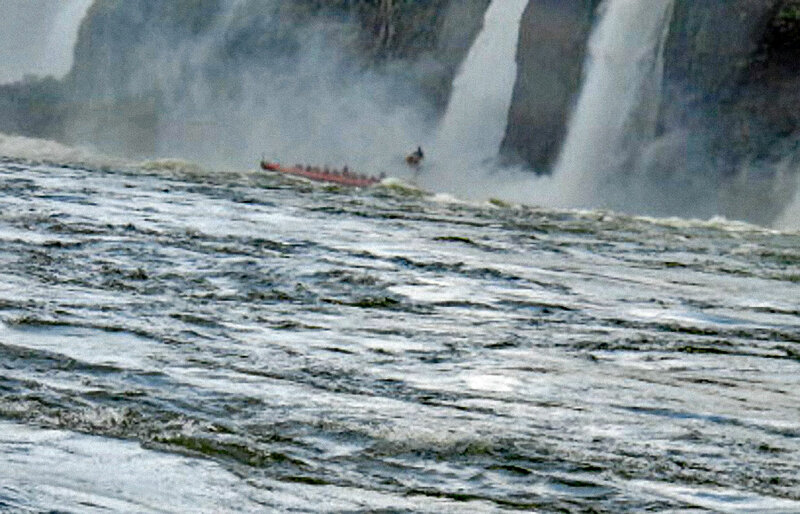 A wild waterfall adventure during Dr Anne Small’s last days in South America before returning home to Australia. 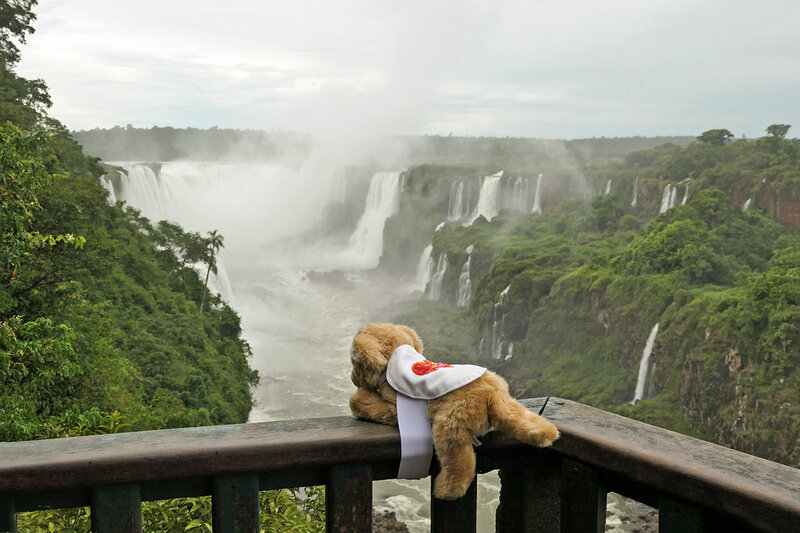 It has been an incredible trip – Christmas in the Antarctic, seeing in the New Year in Buenos Aires and being reinvigorated at Iguassu Falls – and all with Leona the toy lioness along for the ride to spread awareness about animal welfare organisation For the Love Of Wildlife. 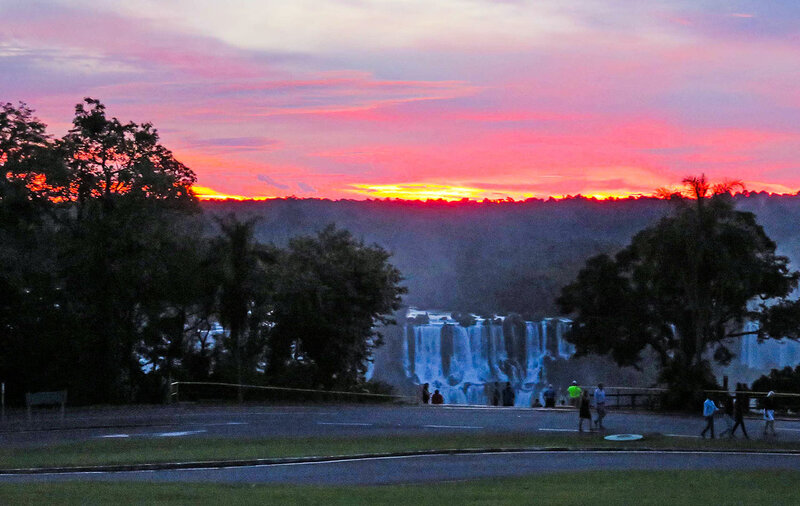 Sunset over the falls, just sublime! 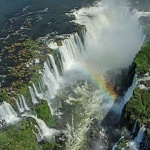 Our final weekend was spent exploring the Iguassu Falls from every angle. 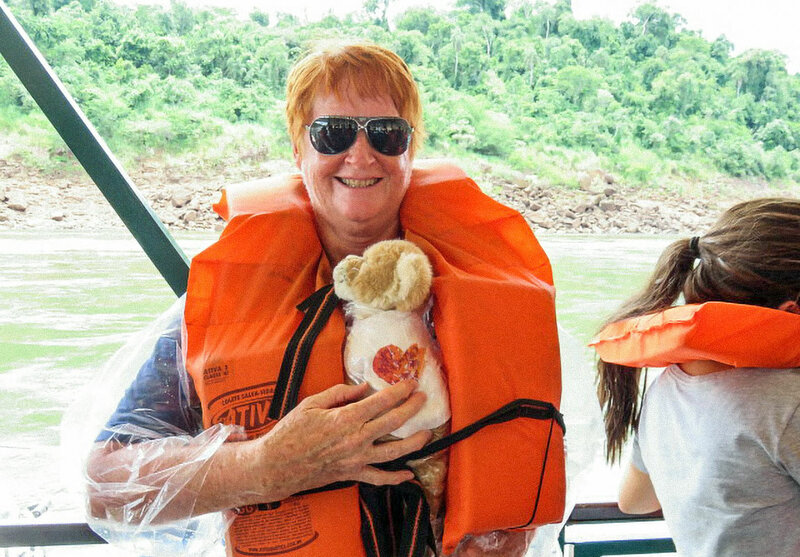 Little Leona was carried by Dr Anne up and down the side of the cliff for about 2 kms on the opposite side to the Falls, then experienced the force of a relatively small waterfall on her body. A panoramic video from Dr Anne. 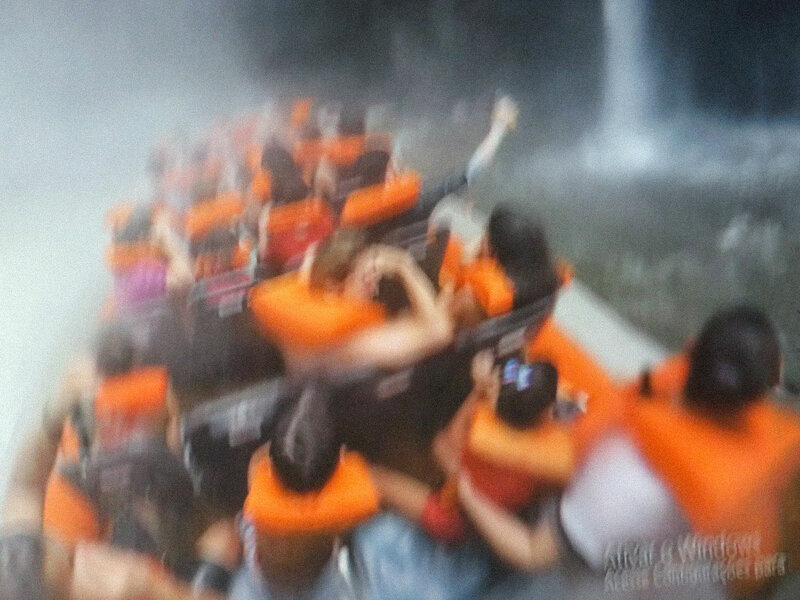 Yes, Leona wanted to go in the Zodiac ride that went under one of the waterfalls. 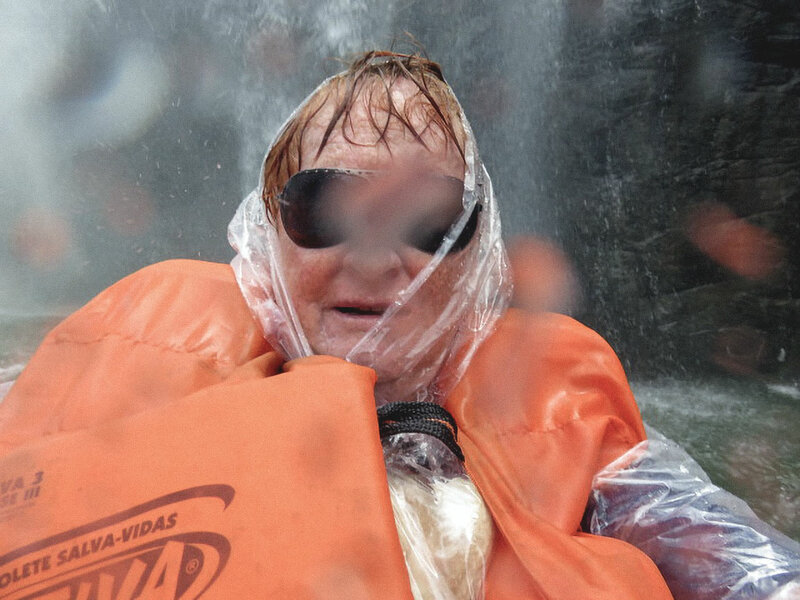 She had on a ‘waterproof’ poncho plus life-jacket, but the force of the waterfall was so great that she and Dr Anne got drenched!! And there are photos to prove it! Plus, the water was surprisingly cold for the middle of summer. We made sure to snap lots of photos of the Falls because every Fall is beautiful in its own unique way. Standing on the lookout, watching the cascading water from every angle, and feeling the spray of the water was a surreal moment, bringing with it a feeling of all the worries being washed away. 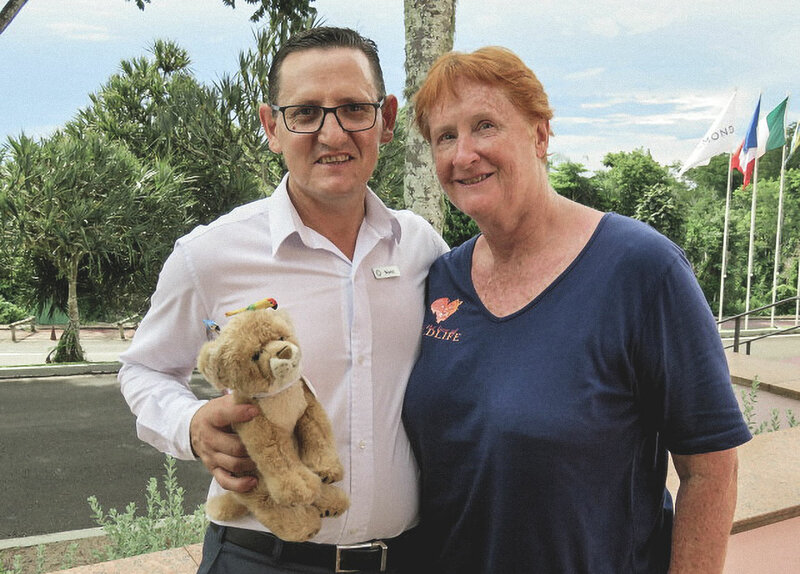 It was a powerful and energetic experience for this baby lioness who will hopefully bring more awareness to the people about the plight of wildlife. 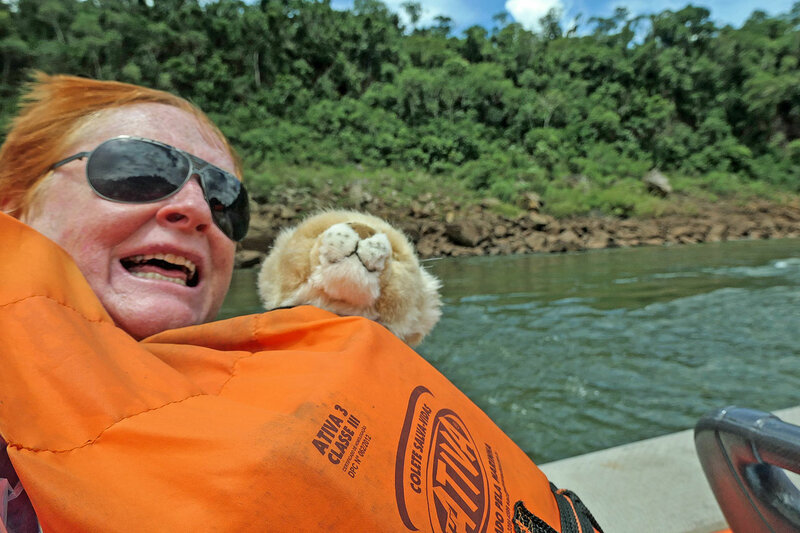 Leona wore her tailor-made For the Love Of Wildlife (FLOW) jacket throughout our entire journey and had a fabulous time and also touched the hearts of many people – including the waiter at Iguassu who initially did not know what to think of this lioness. However, he eventually succumbed to her charms, as did many others. Leona wants to thank Donalea for initiating FLOW, Dr Anne for taking her on such an adventure, Dr Anne’s friend, Anne, for organising the photos and I.T. ‘stuff’ (that Dr Anne can’t do) and Rachel and Luke for posting everything. 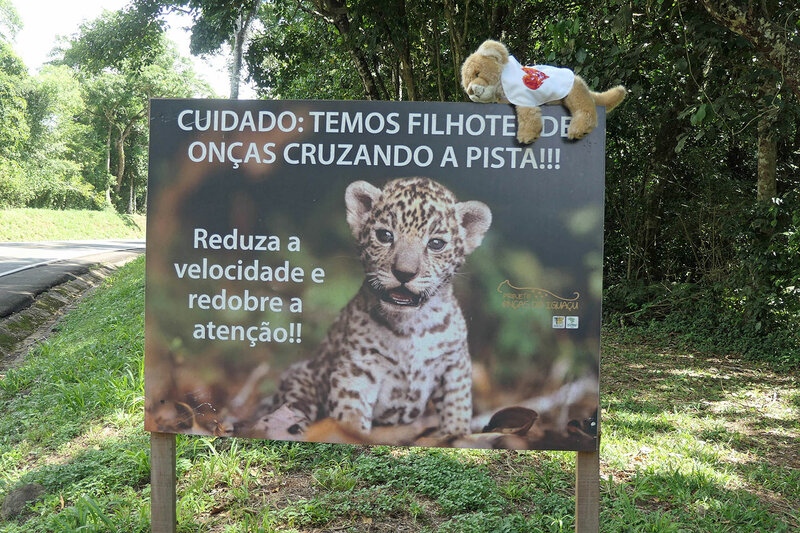 Finally, Leona wanted her photo taken with the sign because she and Dr Anne (neither of who can speak Portuguese) think the sign says something like ‘Take Care of Wildlife’. Leona’s next trip to raise awareness of wildlife and FLOW is in June/July when she will travel to see the mountain gorillas in Uganda – stay tuned.